... or let them take action! Our self-labeled Placecard Set will provide you with everything you need to label your Gingerbread Heart Place Cards yourself. 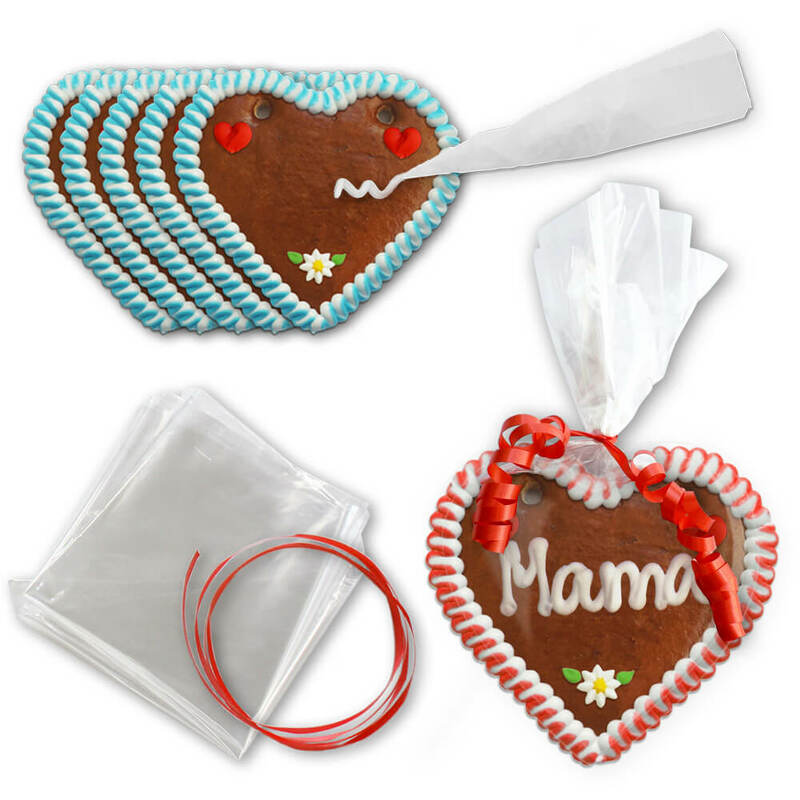 Included are small gingerbread hearts in two different colors, icing powder for self-mixing, two piping bags and a matching heart bag for packaging. Depending on the font size and level of practice, one to three words can be written on the little treats. Then let it dry in the open air. You can wrap the Herzl in the pre-cut heart foil - done! It's so easy to make your board something special. Of course, our self-inscription set is also a great activity for your next party! Or may we take the paperwork from you? Ready-made gingerbread hearts according to your wishes can be found in the category Individual Place Cards .